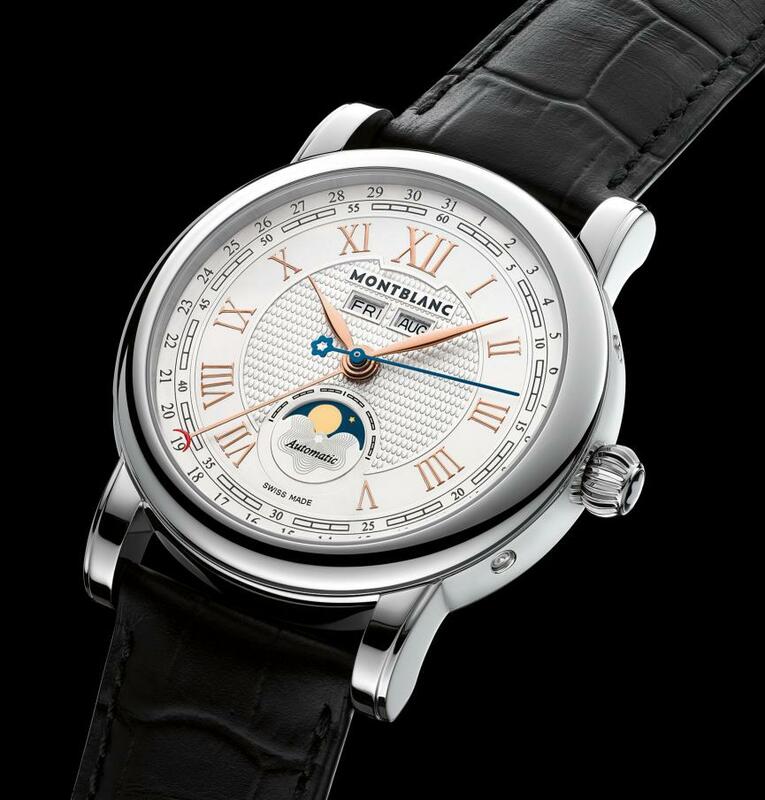 Montbanc released three new models inspired by the famous phrase “ Carpe Diem “ reminding people to enjoy the present and not waste time dreaming of what the future holds. Quantième Complet stands for the French translate for full calendar and indicates the days of the week, the date, the months, the hours, minutes and seconds, as well as the phases of the moon. The stainless steel case measures 42mm X 12.1mm. Elegantly shaped with smooth lines, the case sports double sapphire crystals on both sides and a classic onion shaped winding crown. The watch is water resistant to 30 meters. 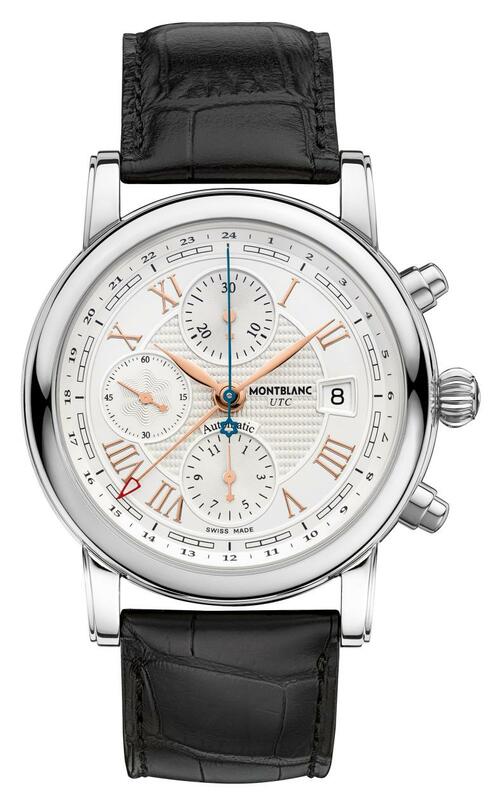 Montblanc Star Roman Quantième Complet "Carpe Diem" Special Edition is powered with the in-house Swiss automatic movement Montblanc Caliber MB 29.12. 25 jewels movement beats at 28,800vph and offers a power reserve of 42 hours when fully wound. The caliber features hours, minutes, seconds in the center, a full calendar with date indicated by a hand around the dial periphery, day and month in a window at 12 o'clock position and moonphase display at 6 o'clock position. 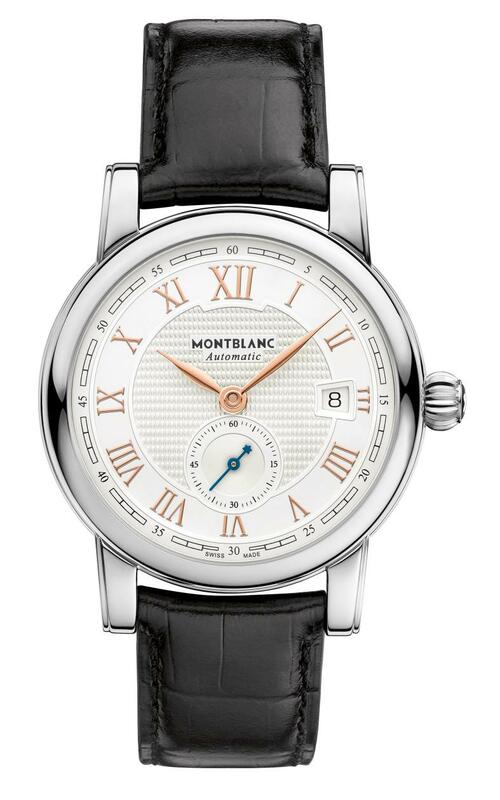 The dial is finished in silvery-white with central guilloché pattern. The accents are red gold-plated Roman numerals, black railway minuterie with Arabic numerals, red gold-plated feuille hour-hand and minute-hand, blued baton small second-hand with Montblanc Emblem at the extremity, red gold-plated baton date hand with red extremity. The moonphase indicator is located in a subdial at six o'clock position with a brilliant gold moon set against a deep blue night sky enhanced by an exploding star pattern. The timepiece is offered on a black alligator leather strap with a steel triple folding clasp. The stainless steel case measures 42mm X 12.1mm. Elegantly shaped with smooth lines, the case sports double sapphire crystals on both sides. The watch is water resistant to 30 meters. The timepiece is powered with the in-house Swiss automatic movement Montblanc Caliber MB 25.03. 25 jewels movement beats at 28,800vph and offers a power reserve of 46 hours when fully wound. The caliber features hours and minutes in the center, small seconds at 9 o'clock, second time zone in the center, and chronograph. The dial is finished in a silvery-white guilloché surface with classic red gold-plated Roman numerals and red gold-plated hands. Two large subdials record the elapsed time on a 30-minute counter at 12 o'clock, and a 12-hour counter at six o'clock, while a central blue chronograph hand indicates the seconds. This blue hand features a Montblanc emblem at its base, acting as a counterweight. Other features on the dial include a smaller subdial at nine o'clock for the running seconds, a date in a trapezoidal window at three o'clock, and a red gold-plated hand with its red arrowhead which marks a second time zone on a 24-hour scale around the outside of the dial. The 39mm case is made of stainless steel. It features sapphire crystals on both sides and a WR rating of 30 meters. Movement is the Swiss automatic Montblanc caliber MB 24.16 with 31 jewels, 28,800vph and a power reserve of 38 hours. 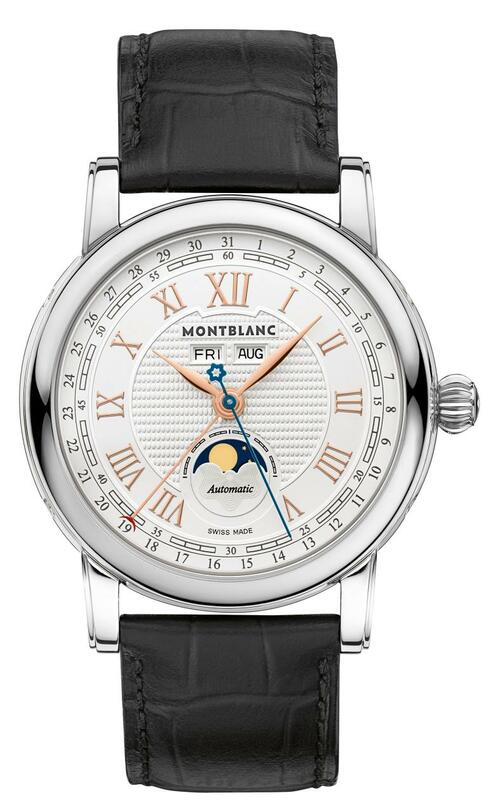 The dial is silvery-white with three-dimensional guilloché "grain d'orge" center. Red-gold plated accents with red gold-plated Roman numerals and leaf-shaped hour and minute hands, blue baton hand.